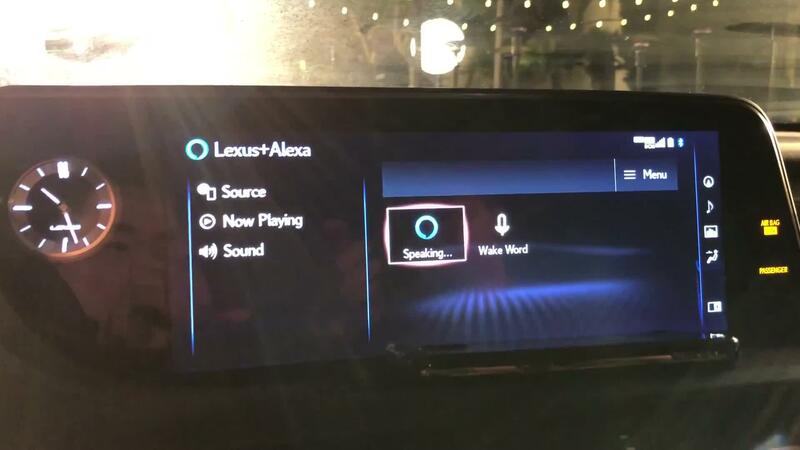 "Alexa," I say out loud. 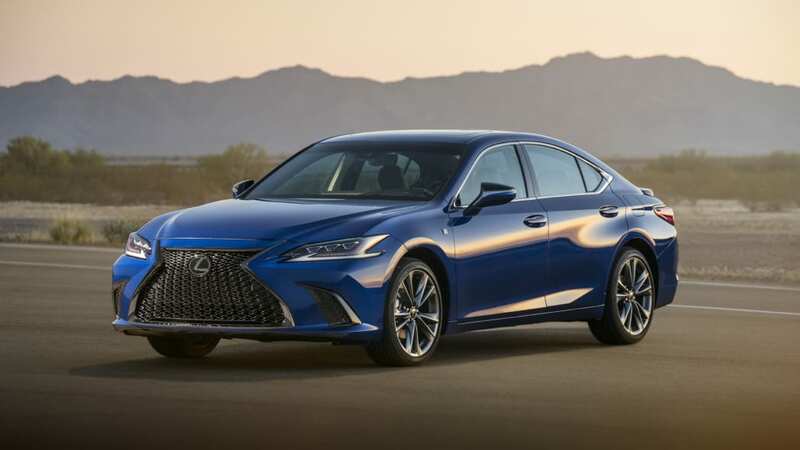 A chime goes off in the all-new 2019 Lexus ES acknowledging the wake word. 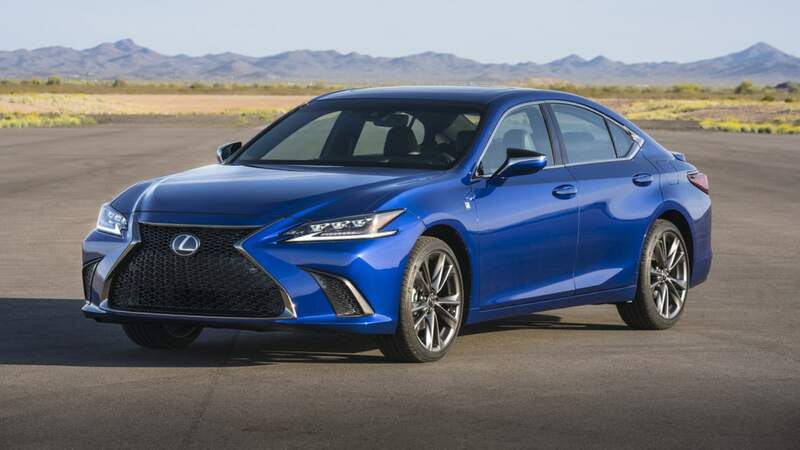 I ask what the weather is going to be like tomorrow, and after a brief pause, the voice made famous from Amazon's Super Bowl campaign replies, informing me of the cloud conditions and the temperatures for the next day based on my current GPS location. 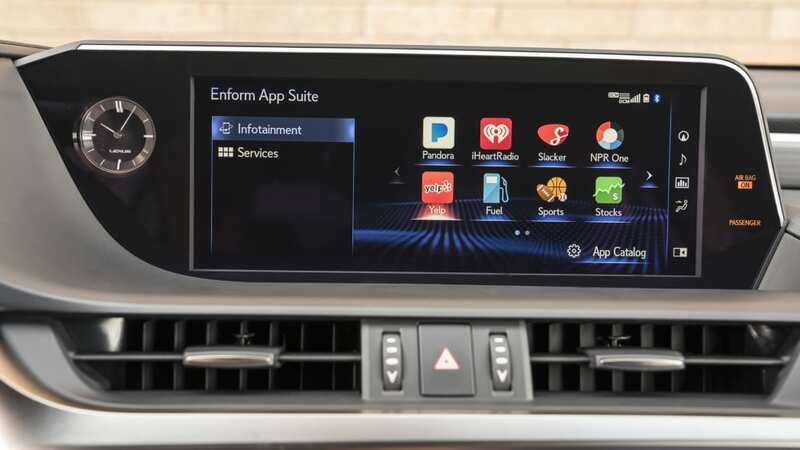 Although the ability to order paper towels from the comfort of a car wasn't quite ready for prime time (I tried), the future is nigh. 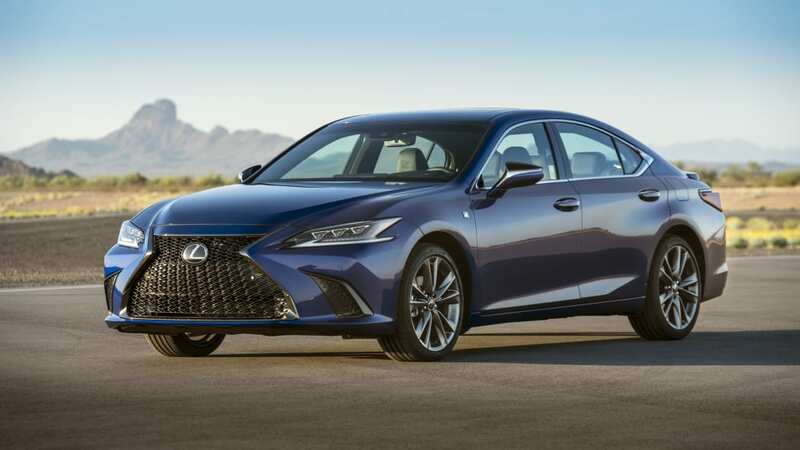 While Lexus was unveiling the seventh-generation ES on the global stage that is the Beijing Motor Show, simultaneously in Los Angeles, a more intimate gathering of journalists was held and the wraps were pulled off an ES 350 and the ES F Sport. 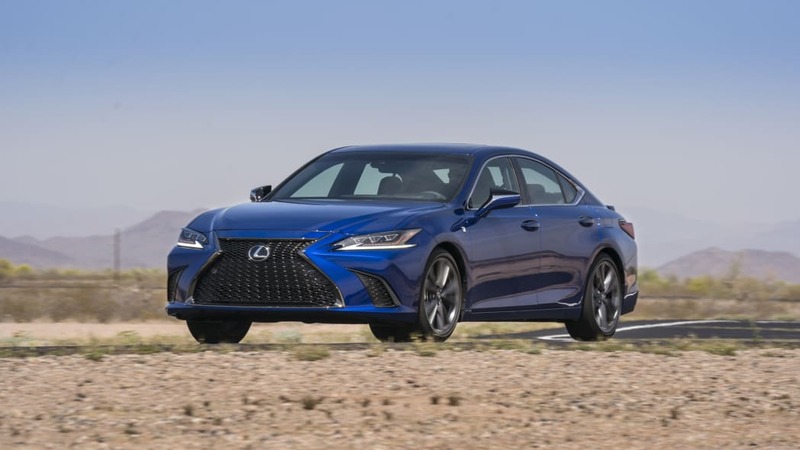 Not present was the ES 300h hybrid variant. 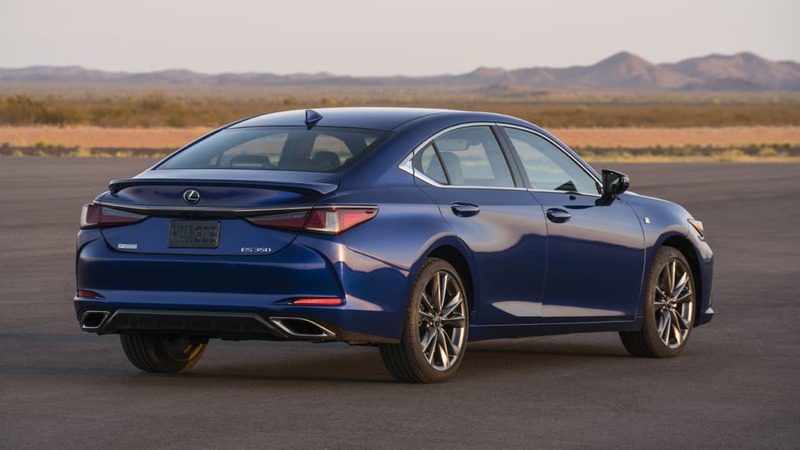 In all, 2,000 components are either new or have been revised on the 2019 ES, which utilizes the larger GA-K chassis variation of Toyota's new global TNGA platform. 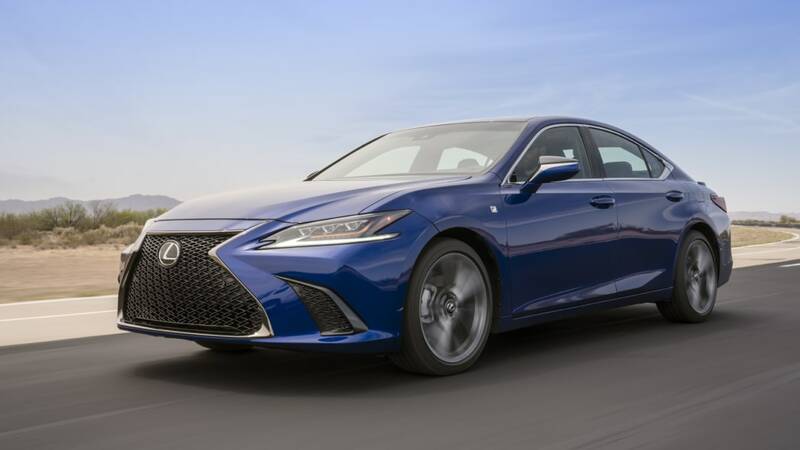 Utilized on the 2018 Toyota Camry and 2019 Avalon, it's the first time the luxury brand has put the new front-wheel-drive platform to use. 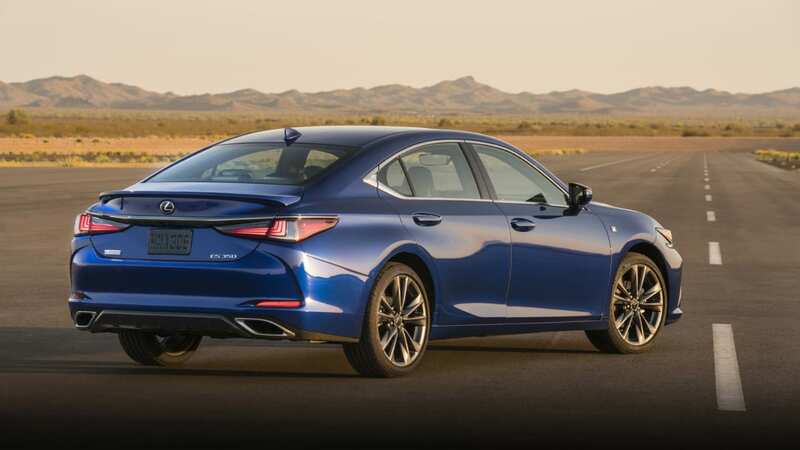 Standing 2.6 inches longer, 0.2 inches lower, 1.8 inches wider with wider tracks (0.4-inch front, 1.5 inch rear), and having a 2-inch longer wheelbase than the model it replaces, Lexus says the dimensions have been stretched to improve handling(for some reference, you can see how the similarly sized new Avalon compares to the last-generation ES). 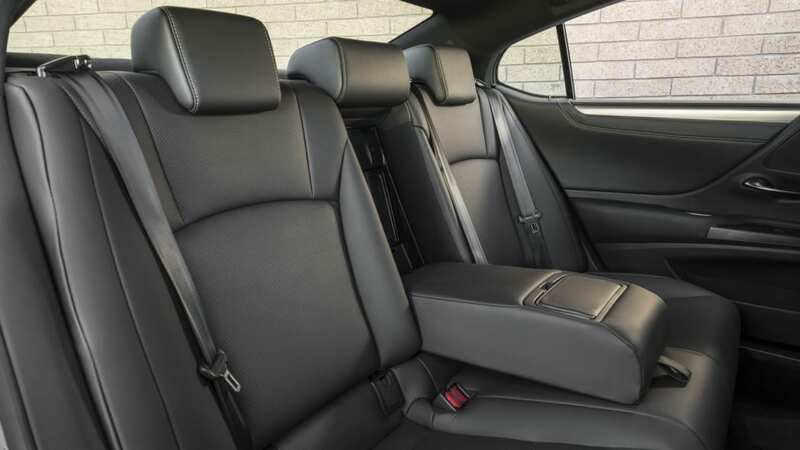 Another benefit is rear seat legroom, which is actually greater than that of the flagship LS sedan. 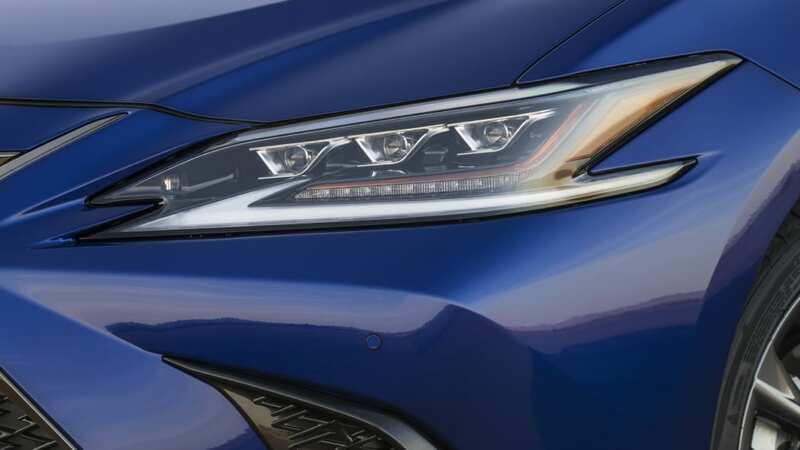 All new ES models will roll out of Toyota's Kentucky plant with aluminum hoods and front fenders, and high-tensile steel to save on weight. 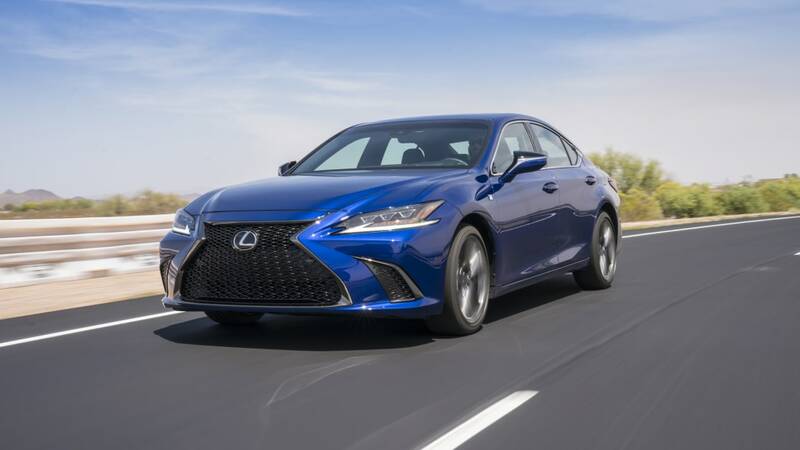 Thanks to efforts such as those, the preliminary curb weight for the new, larger ES 350 is 3,649 pounds, a 78-pound increase from the current. 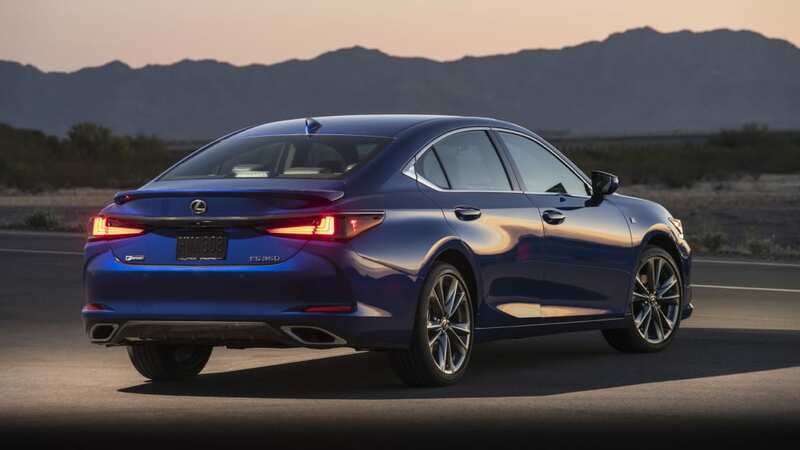 The ES models on display both employ a new 8-speed automatic transmission mated to the same 3.5-liter V6 found in the Camry and Avalon. 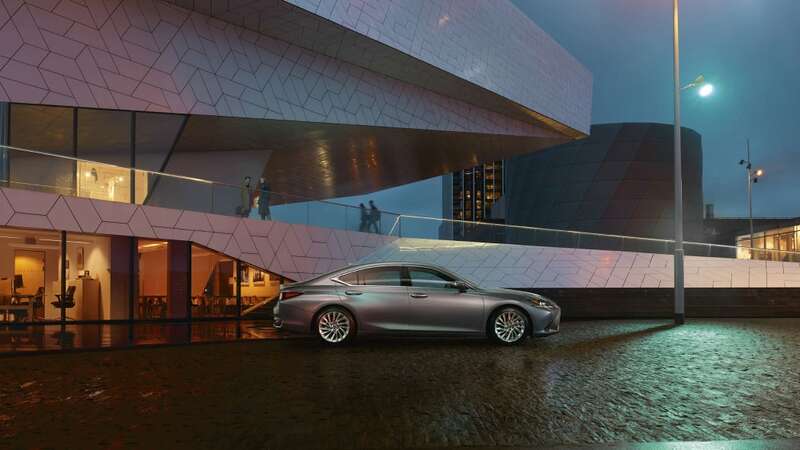 In the ES it produces 302 hp and 267 lb-ft of torque, a jump in 34 hp and 19 lb-ft of torque from the current ES 350. 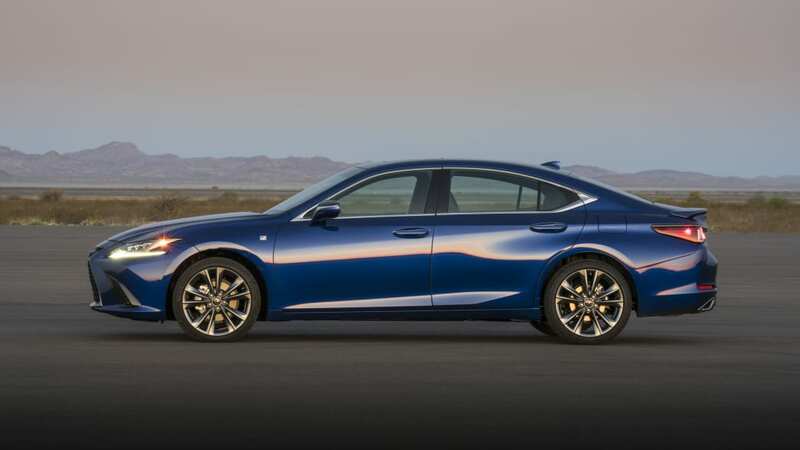 Preliminary fuel economy figures are 26 mpg combined (22 city / 33 highway), a bump up from 24 combined (21 city / 30 highway). 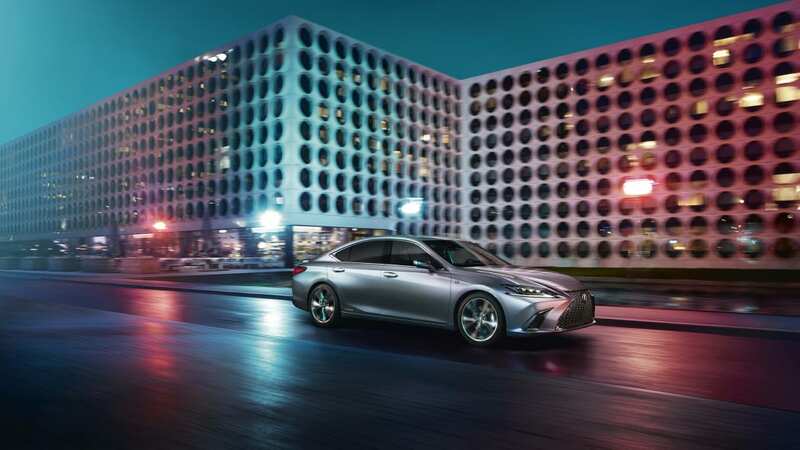 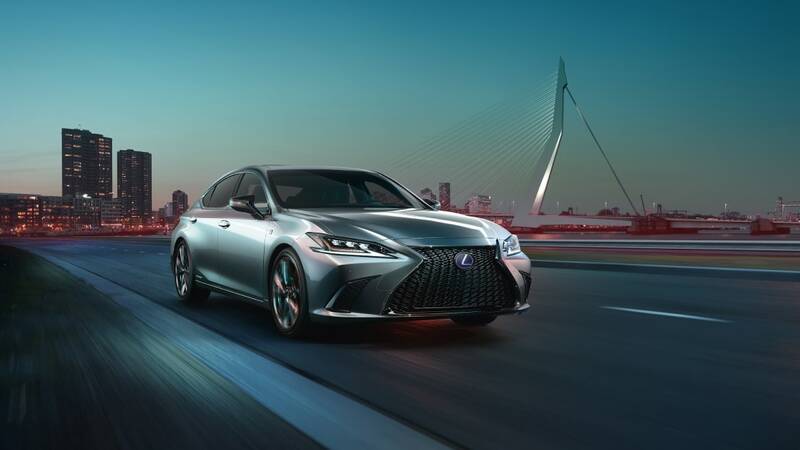 The ES 300h will also share its hybrid powertrain with the Avalon, consisting of a 2.5-liter four-cylinder aided by two electric motors (one for propulsion and another that serves as a motor generator). 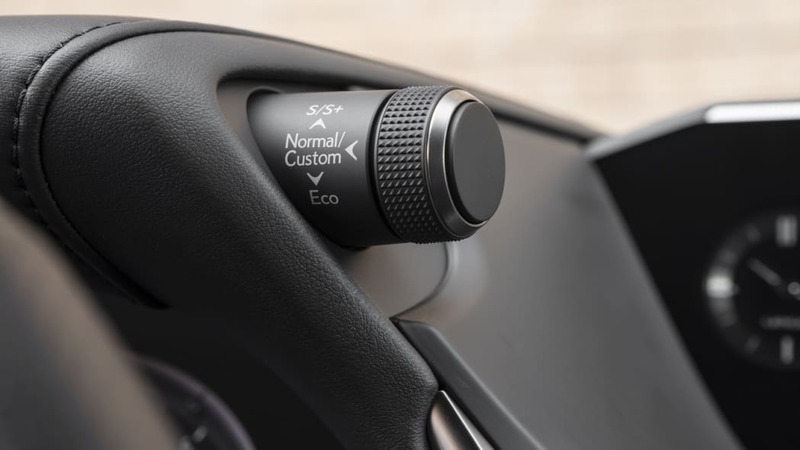 The current ES only has one electric motor. 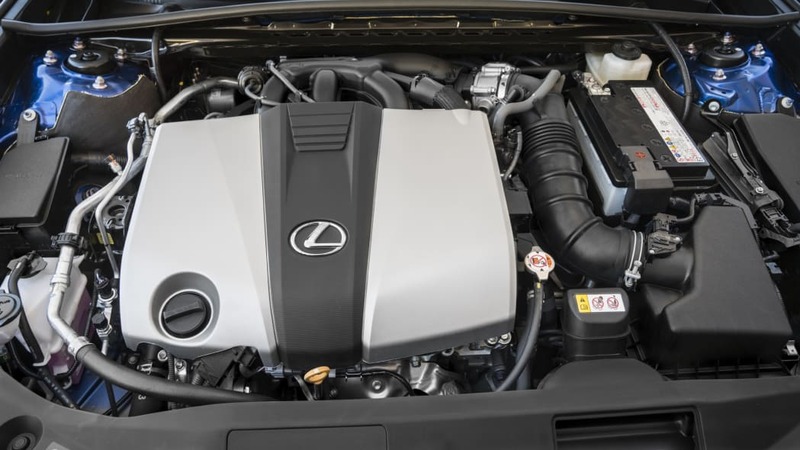 Total system output is 215 horsepower. 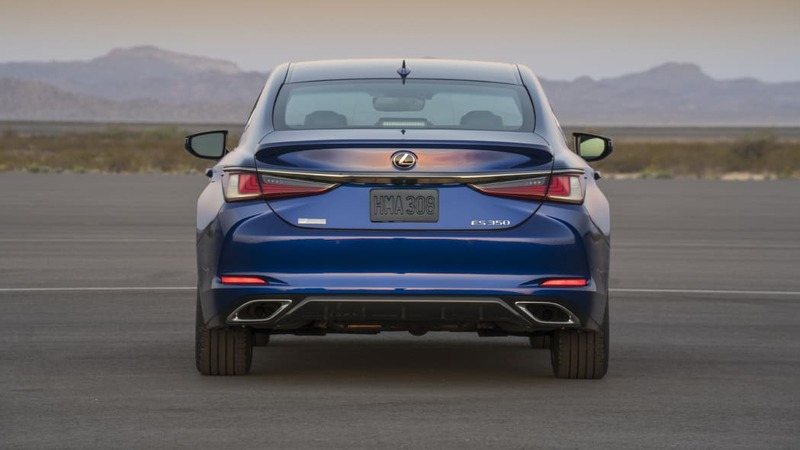 Fuel economy numbers weren't available, but something akin to the Avalon's 43 mpg combined seems likely. 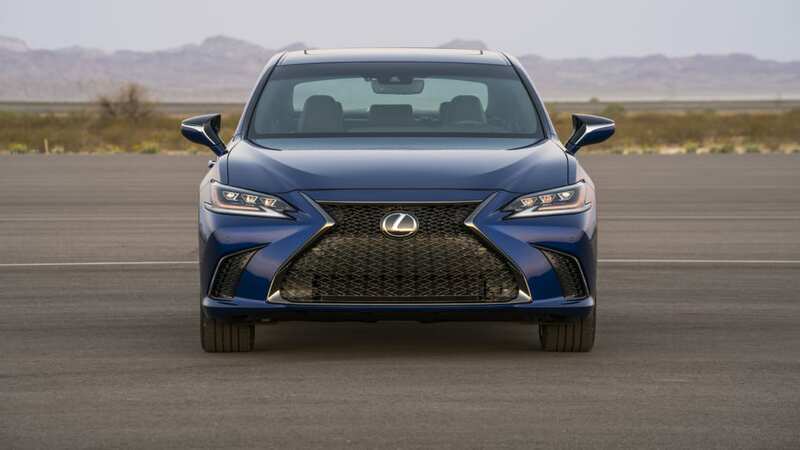 Perhaps the biggest update, however, is the new ES F Sport. 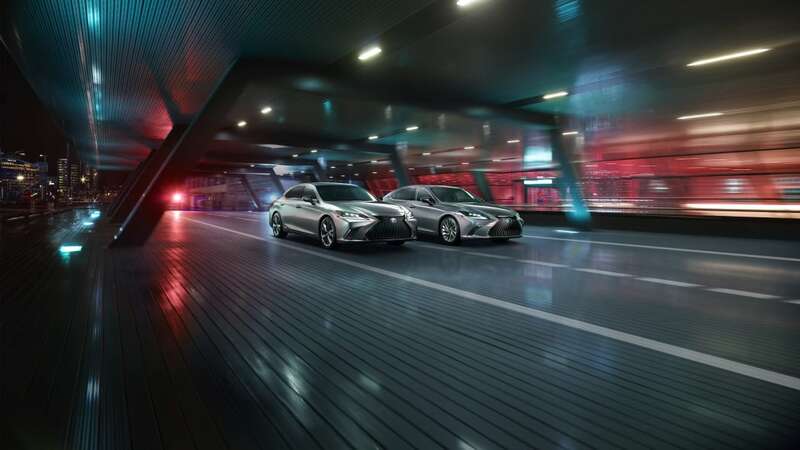 Available with the V6, it receives an exclusive Sport+ drive mode that places the engine, transmission, and suspension in a more aggressive setting, while augmenting engine noise through the speakers. 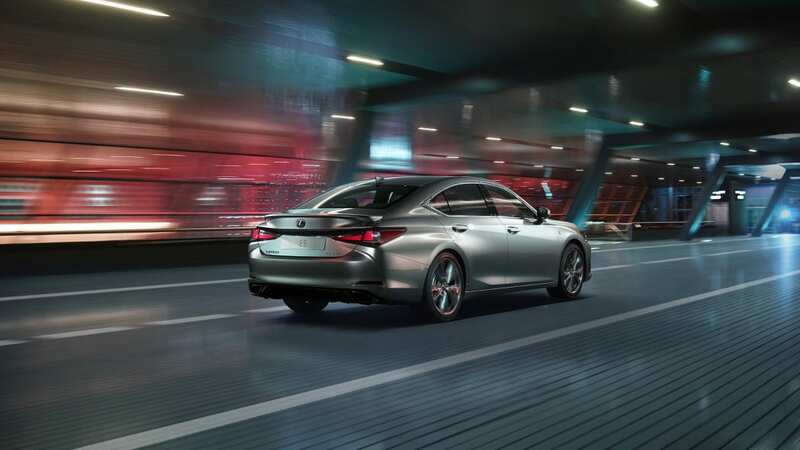 Exclusive to the F Sport, that suspension has adaptive variable dampers that offer 650 levels of damping force derived from the LC coupe. 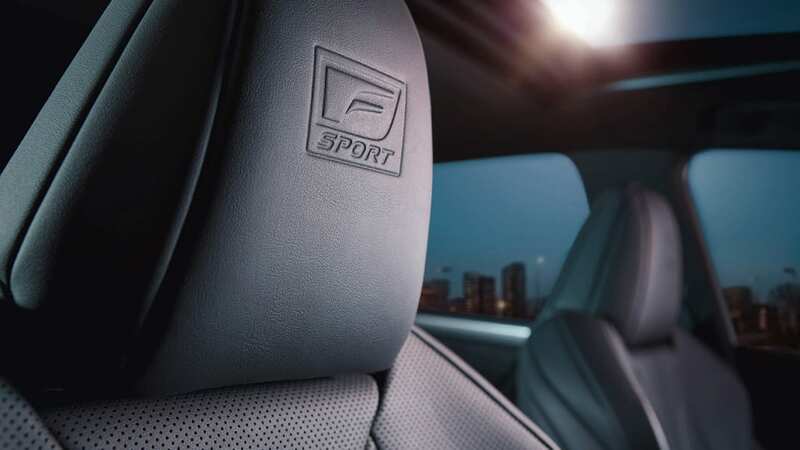 Other exterior treatments unique to the F Sport model are the rear spoiler, rear diffusor, unique badging, black grille inserts, and standard 19-inch wheels. 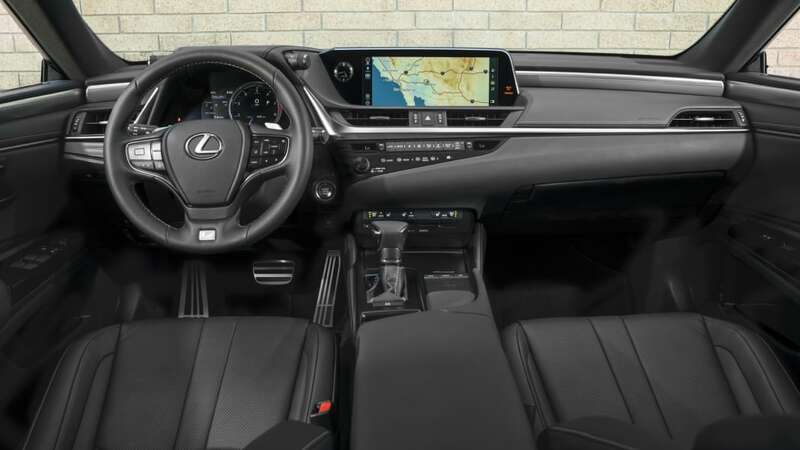 The interior sees the introduction of a Hadori aluminum trim: a fluctuating wave pattern inspired from the forging of a Japanese sword, which gives the flat surface a textured look. 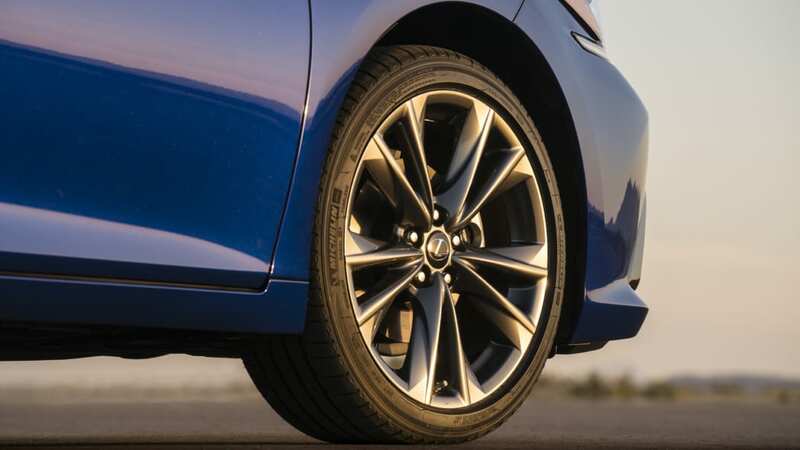 Ultra Sonic Blue Mica 2.0 is a color option exclusive to the F trim. 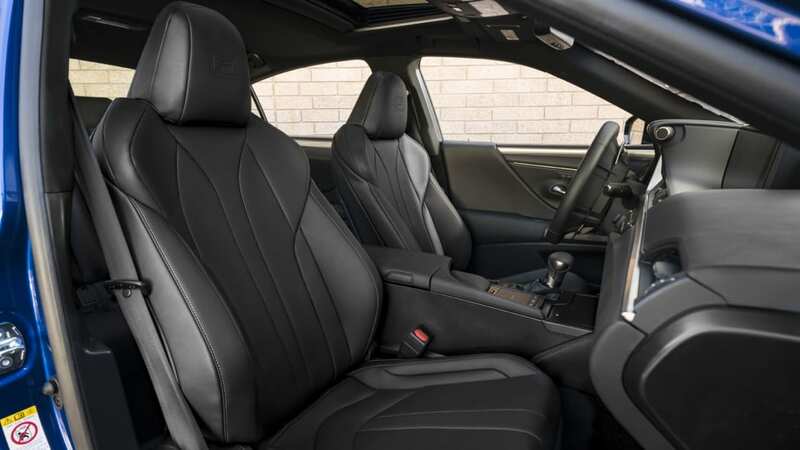 Despite its many similarities to the Avalon, the interior is clearly distinctive in its design and electronics interface. 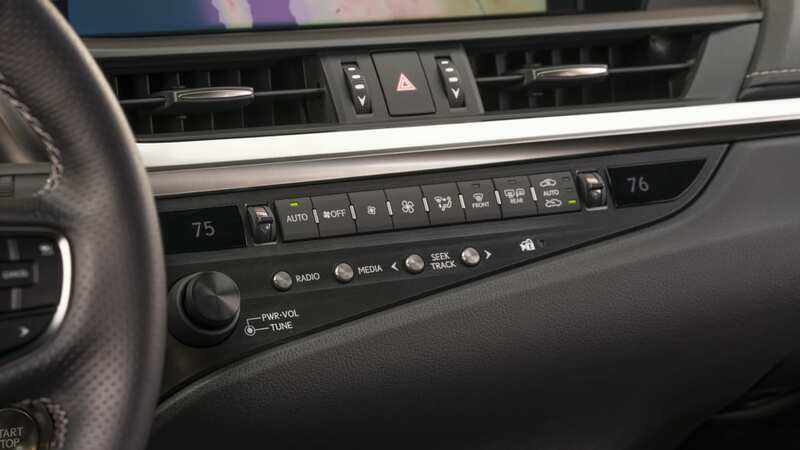 The instruments are common with other Lexus models, while the cowl that surrounds them features the same vehicle settings knobs that poke out from the LC and LS. 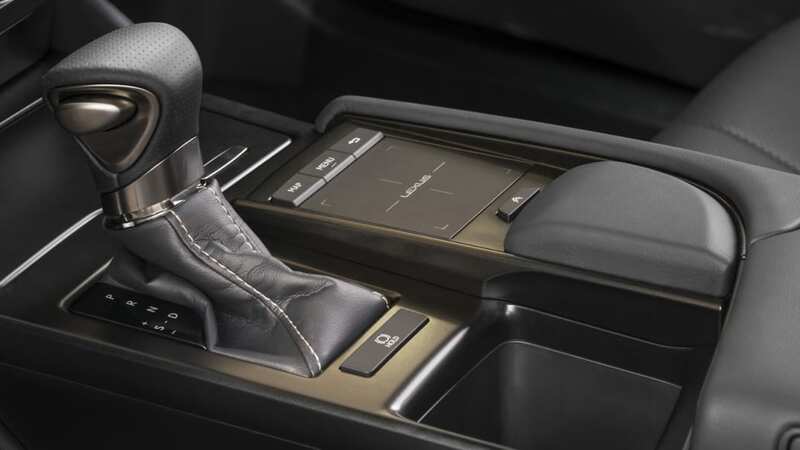 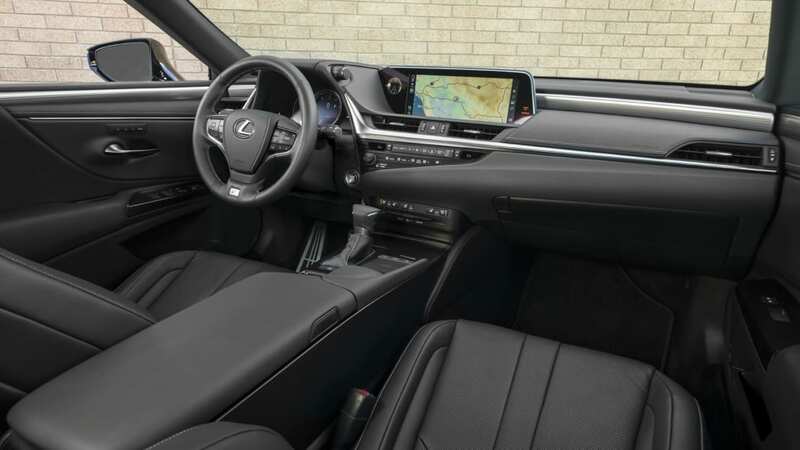 Standard is an 8-inch infotainment screen or an optional 12.3-inch unit, both of which are controlled by the controversial Lexus Remote Touch touchpad. 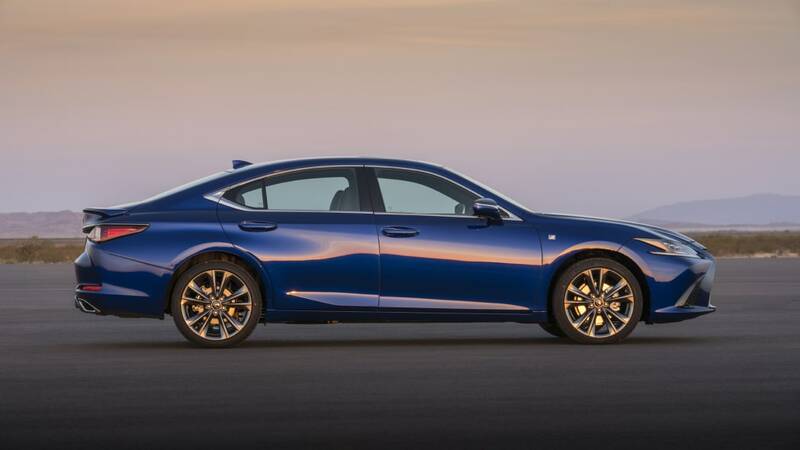 What it controls, however, is new for Lexus. 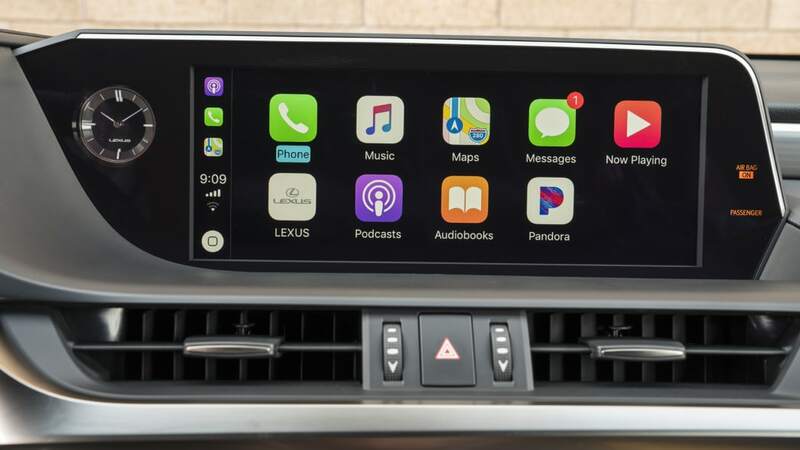 Apple CarPlay finally makes its debut, but the bigger story is that the ES is Amazon Alexa-enabled, making Lexus one of the first premium brands to incorporate the virtual assistant feature. 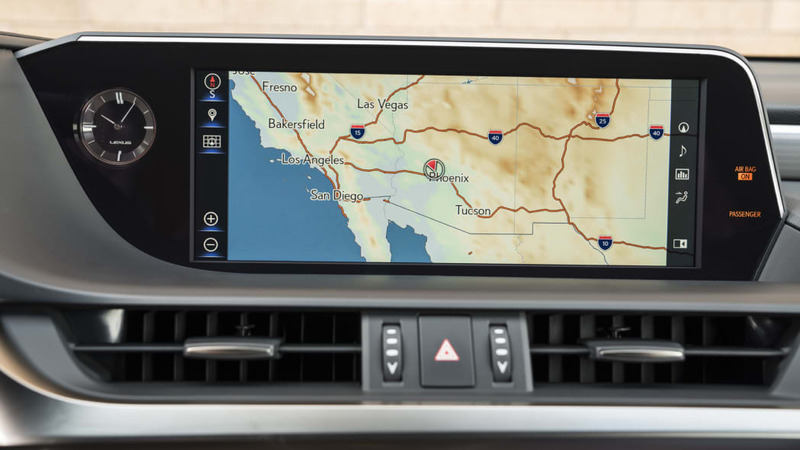 Connected to a smartphone, we were able to ask Alexa to find the closest Starbucks and then input the provided address into the navigation system. 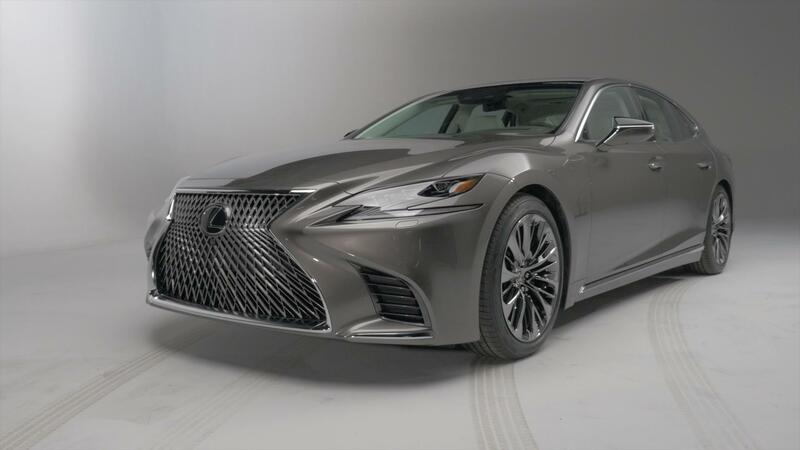 While the capabilities shown at the event were limited, Alexa will incorporate home-to-car and car-to-home commands, allowing users to access the Lexus remotely with voice prompts. 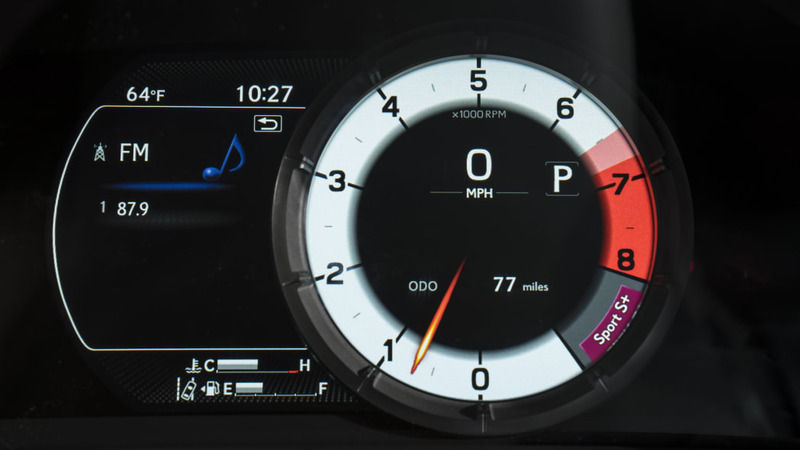 It's like Knight Rider, if KITT was built to make it easier for you to buy things. 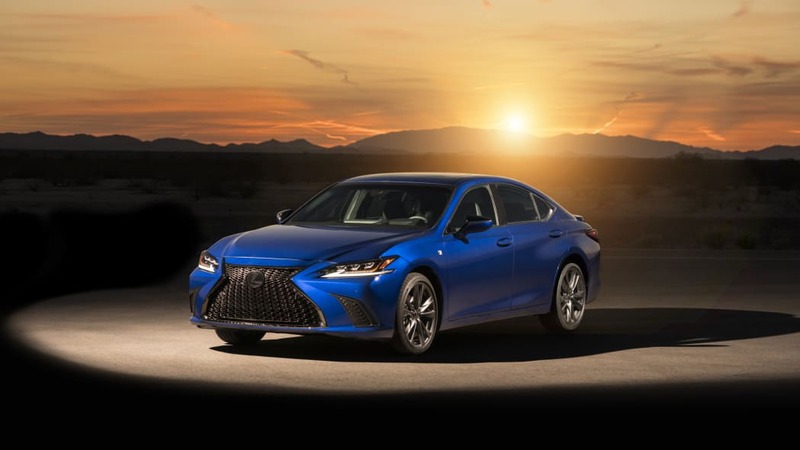 The 2019 Lexus ES will go on sale this September, look for pricing to be announced sometime in summer.